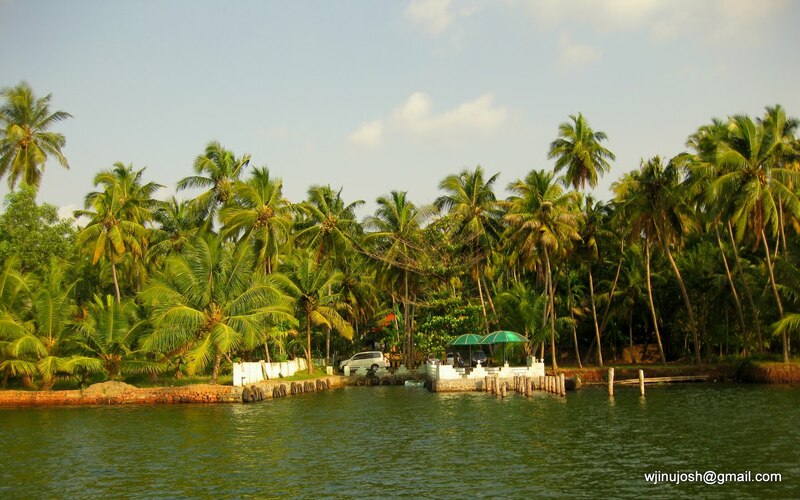 If you want a stay in floating cottage and a beach nearby without disturbing crowd, then Poovar Island Resorts will be a good option. You will get a wonderful time during the boat trip. The beach is also a wonderful one. There are land cottages also, but the best one would be the floating cottages. The travel from Trivandrum International Airport will take not more than one hour to reach Poovar. 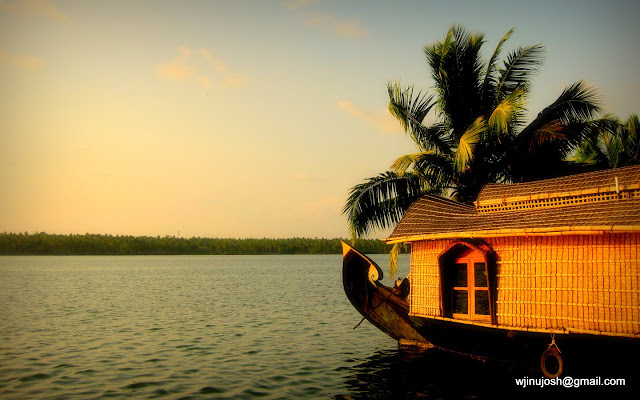 This place is known as India's first planned eco-tourism destination, which is in Kerala. Thenmala is 72kms from Thiruvananthapuram, in the District of Kollam. In the Malayalam language 'Then' means honey and 'Mala' means hill. People gave this place Thenmala as a combination of these two words. The place is managed by Thenmala Eco-Tourism Promotional Society, an undertaking of the Government of Kerala. Chitharal is a village situated about 4km to the north east of Kuzhithurai in Knyakumari District of Tamilnadu. This village stands the small rocky hill called the Triucharanattu Malai. The Bhagavati temple at Chitharal is located on the top of the hill is a natural cavern upon another. The cave is facing west. The natural cavern at Triucharanattu malai, formed by overhanging rock with relief on one side depicting Jinas and their attendant Yakshis, was one of the most important Jaina centres of the region. Of the reliefs, the most important are Parsvanatha and Padmavatidevi, both standing gracefully and canopied by a multi hooded cobra. Small figure shown seated in the ardhaparyanka pose each underneath a three-tiered parasol may be of Mahavira or other Tirthankaras. The central niche contains a figure of Jina Mahavira, with chhatratrayi, chaitya-tree and two attendants. Another beautifully executed figure, standing elegantly in tribhanga on a padmasana, accompanied by attendant figures including two children and the lion mount, is goddess Ambika. All the prominent figures are accompanied by flying vidyadharas or worshippers. Each of the rock-cut votive figures has below its seats short inscription in vatteluttu characters, mentioning donor's name and place. It is evident from these inscriptions that this Jaina establishment continued to exist till atleast upto the middle of the thirteenth century. The Bhagavati temple faces west. The cave has been extended at a later date with a masonry mandapa in front, a verandah, balipita and a tidappalli(kitchen). The shrine is divided into three chambers, houses a tirthankara in the middle, Devi on the right and Parsvanatha on the left. The inscription on the southern side is written in Vatteluthu characters and in Tamil language. It belongs to the 28th year of the reign of the Vikramaditya Varaguna Pandya. It records that Gunandagi-kurattigal, the disciple of Arattanemi-bhatara of Peravakkudi gave some golden ornaments to 'Bhataraiyar' of the Tiruchchanam malai. An inscription engraved on the mandapa is written in Tamil characters dated to 475 KE(1300 AD), states that one Narayanan, Tamil appalla Variyan of Rajavallapuram in the Kil Vembanadu gave some money for the expense of Bhagavati temple. This is a centrally protected monument under the control of Archaeological Survey of India since 1964. Happened to get these snaps on an early morning trip. The place is too good in the morning. 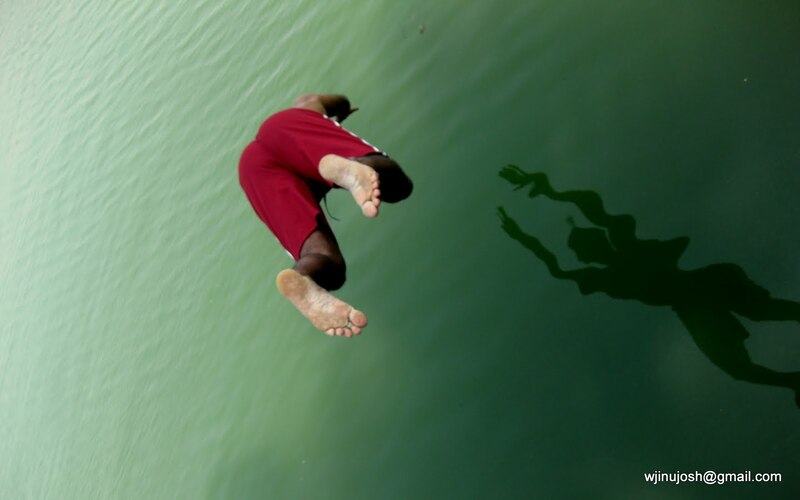 It will have a fog like effect over the water surface even during summer time. A location worth visiting when you travel via Vellayani or Kovalam. 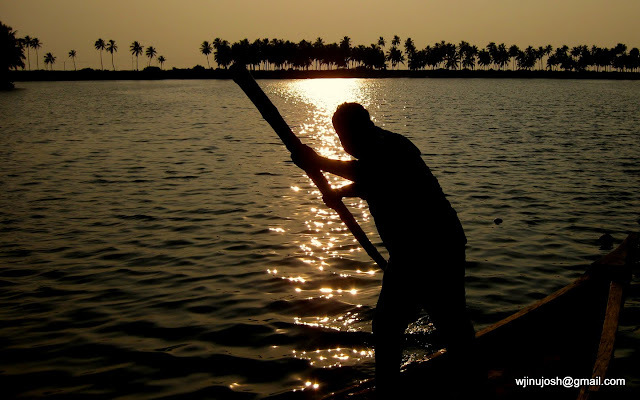 The vellayani lake is known as the largest fresh water lake in Thiruvananthapuram. Every day I've been wandering around my home and never thought this little creature will be this much beautiful. 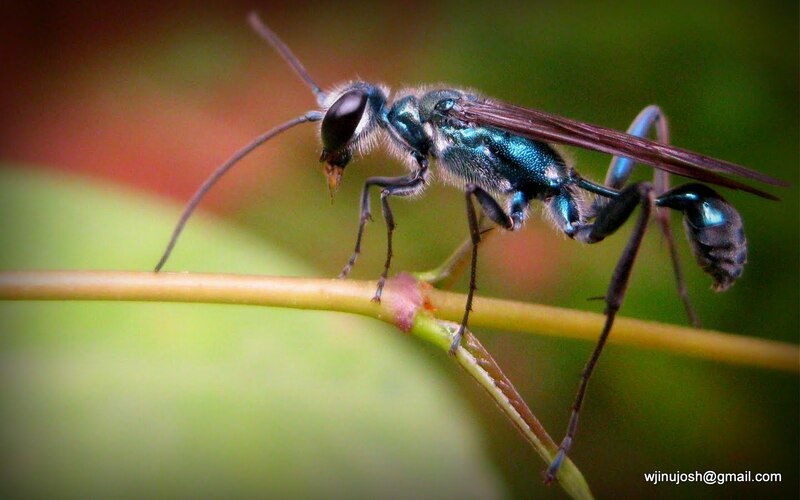 Excellent color combination by the God even for this little one. 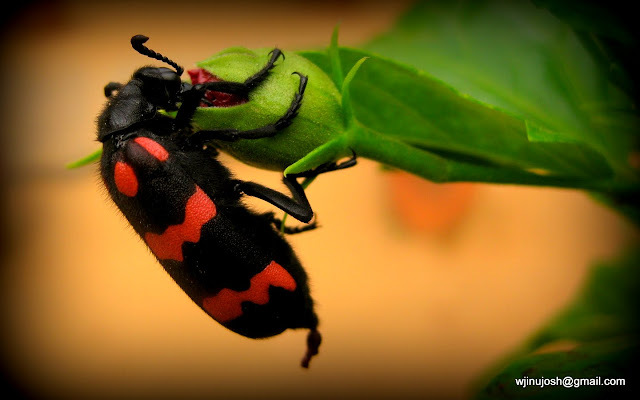 Found this bug in a chembarathi (hibiscus tree) at Padmanabhapuram Palace. Many friends were with me during this visit and they all had cameras with them, but I was the one lucky enough to get the shot. Learned the lesson that you should be lucky enough to get a cool shot whatever kind of SLR you have. Got these snaps during a boat trip through Edava-Nadayara Lake, Varkala. The house boats are very rare in this place as compared to Alleppy. We enjoyed the trip very much with swimming just before lunch. It was an excellent view of the sunset during our return journey. 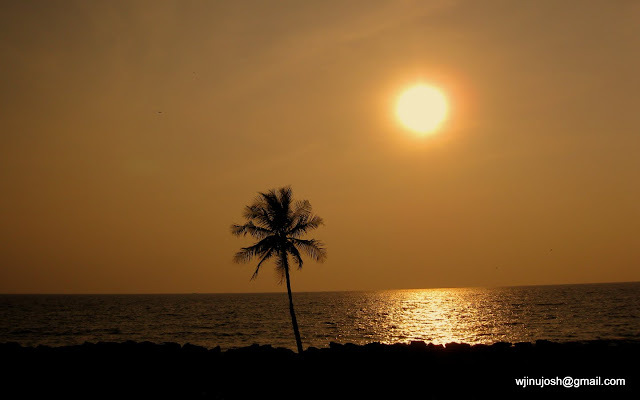 A beautiful evening at Kovalam beach with a wonderful view of sunset. Kovalam is one of the beautiful tourist places known internationally. Evenings give a wonderful color to this place. And sunset is the most colorful event.If you make a trip to Kerala, please visit Kovalam also. It will be a wonderful experience and don't miss the evening bath in the sea also. 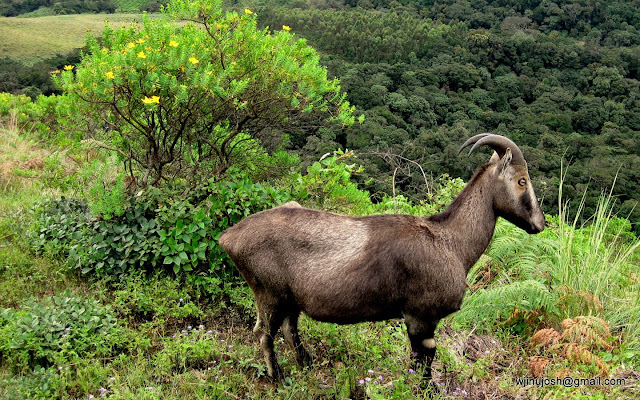 Varayadu (Neelgiri Thar), an endangered species found near Munnar, Kerala. On my first two trips I was not lucky enough to get a close shot of this and had to be satisfied with the posters. This time found this one very near the road and it was cool and calm. Later we saw herds of them by the road to the hill top. 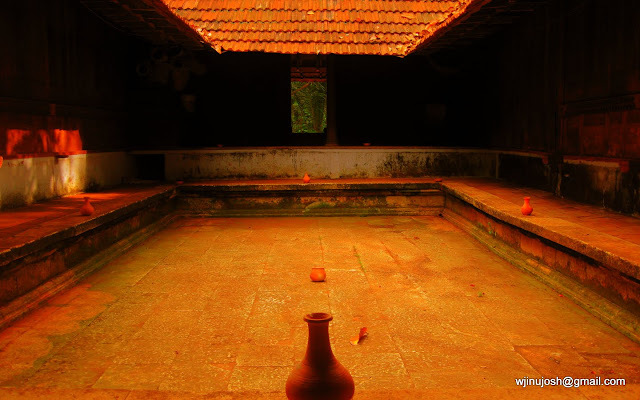 Inner view of a nalukettu. This old house is location for many documentaries and short films. A good place to see how the houses were built during old times. This place is on the way to poovar. Found this tiny frog near Kallar on the way to Ponmudi hill top. The background color and the image gave this one a different look.